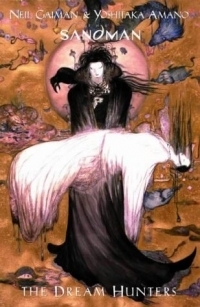 Have you ever heard of The Sandman: The Dream Hunter by Neil Gaiman and Yoshitaka Amano? Yeah, I hadn’t either. I discovered this book tucked away in the graphic novel section of my local library between two volumes of The Sandman graphic novel. The story set within the Sandman universe. This is a novella, though, not a graphic novel. Even better, it’s filled to the brim with one and two page art spreads by none other than Yoshitaka Amano, famed artist for many a Final Fantasy game. I am always game for a story about a giant Final Fantasy styled ridiculously oversized sword. Look, I just like them. They look cool. And they look cool in artistic formats like video games and graphic novels. 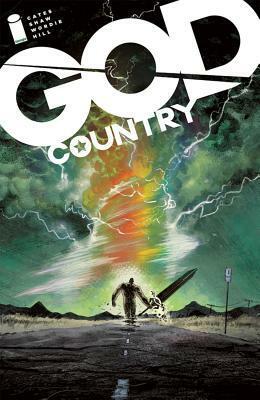 When I found out God Country by Donny Cates and Geoff Shaw was about an older gentleman who finds an enormous sword, I knew I needed to read it. I’ve recently been getting more manga from my local library than I used to. (They won’t acquire more if no one’s reading them, after all). But while they have a rather comprehensive who’s who of 1990s manga, more modern titles are often missing. Luckily, one of the series they’ve made sure to put on the shelves is A Silent Voice by Yoshitoki Oima. Despite having a rather famous movie adaptation, I went into this series pretty much blind. I haven’t watched the movie and knew nothing of the plot beyond the very basics. 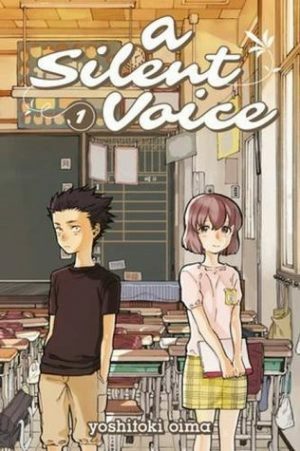 A Silent Voice is the story of two middle schoolers – a boy named Shoya and a girl named Shoko. Shoko is a new transfer student and deaf. Shoya suffers from nothing greater than perpetual boredom, and begins to bully Shoko. The entire class joins in on Shoya’s bullying, with Shoko ultimately switching schools. Yet Shoya shoulders the blame of her dropping out of their school alone. Years later, at the end of high school, Shoya meets Shoko again. 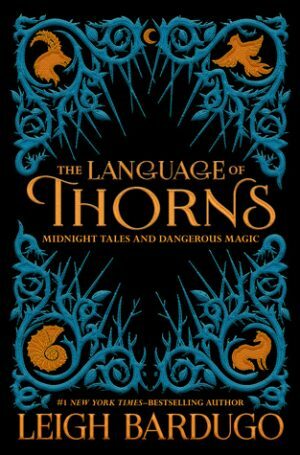 The Language of Thorns: Midnight Tales and Dangerous Magic is, at heart, a book of fairy tales. These stories are set in Leigh Bardugo’s Grisha universe, the same world in which The Grisha Trilogy and the Six of Crows duology are set. Instead of high stakes adventures, we are given several fairy tales that take place in unspecified times within this world. Happy first day of Tome Topple, everyone. That’s right. It’s this time of year again already. Time to pull out all of the amazing sounding yet physically terrifying books we’ve been neglecting because they’re just too damned long. Honestly, I have more of those than I’d like to admit. Yep, I was surprised too. I knew another round of Tome Topple was coming up fast, but this really snuck up on me. 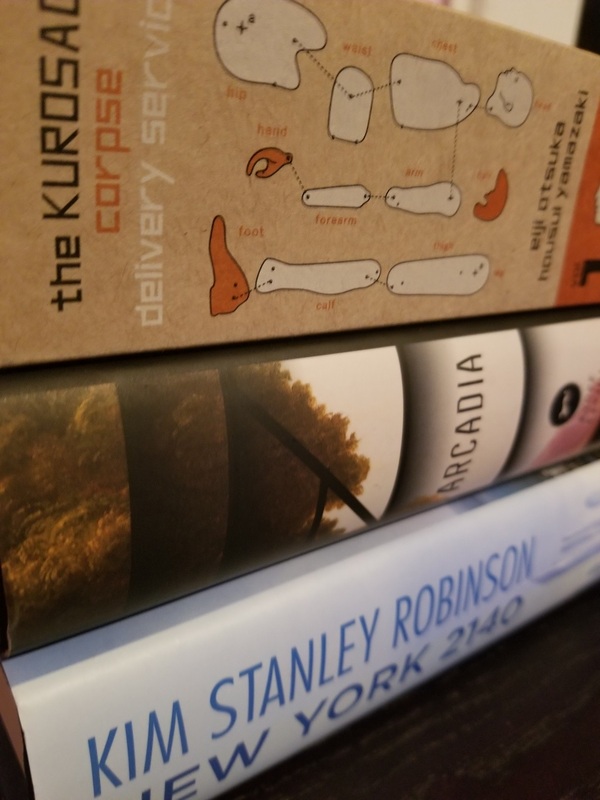 I always have a stack of tomes to get through, though, including some books I picked up earlier this week as well as all the titles I didn’t quite make it through during the last round of Tome Topple. For those who may not know, Tome Topple is a readathon originally created by @thoughtsontomes. 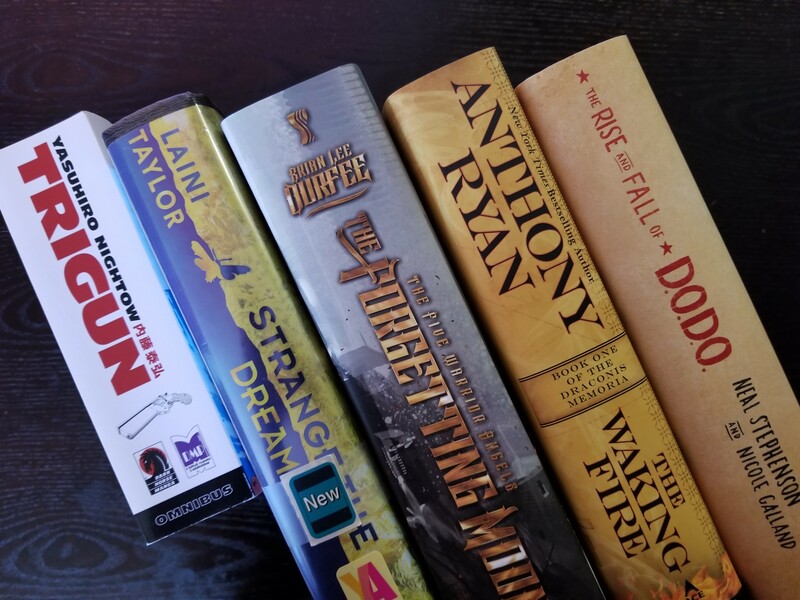 The goal of this particular readathon is to read books that are 500 pages or longer. The readathon runs for two weeks. It begins today, November 17th, and ends November 30th. For the goal oriented there are some challenges that can be completed. Because who doesn’t like a little extra challenge with their readathons? 1. Read more than one book. 2. Read a graphic novel. 3. Read a book in a series. 4. Buddy read a book. 5. Read an adult novel. I’m hoping to get through a number of books this time. I’m not sure how much reading time I will realistically have this week as Thanksgiving is being hosted at my house this year, but I’ll try anyway, damn it. Without further ado here are the books that I’m planning on reading over the next two weeks. Who else is participating in Tome Topple? Are you reading any of the same books? Let us know below! Sometimes we pick manga we never heard of up at the library. Sometimes this a turning point, a time when we discover older or more obscured series that we collect the boxed sets of and treasure forever. This is not one of those times. 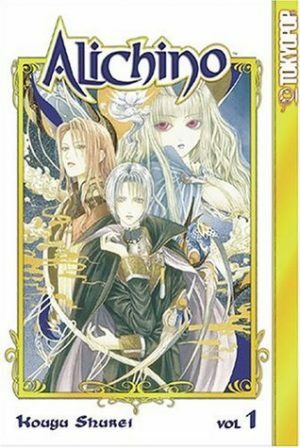 Alichino Volume 1 by Kouyu Shurei is not the most excellent manga on my library’s shelf. However, it is one which they’ve collected all of the volumes of and that was enough for me. Halloween has passed. We’ve completely skipped over the crisp autumn weather and gone straight to the bitter cold of winter. 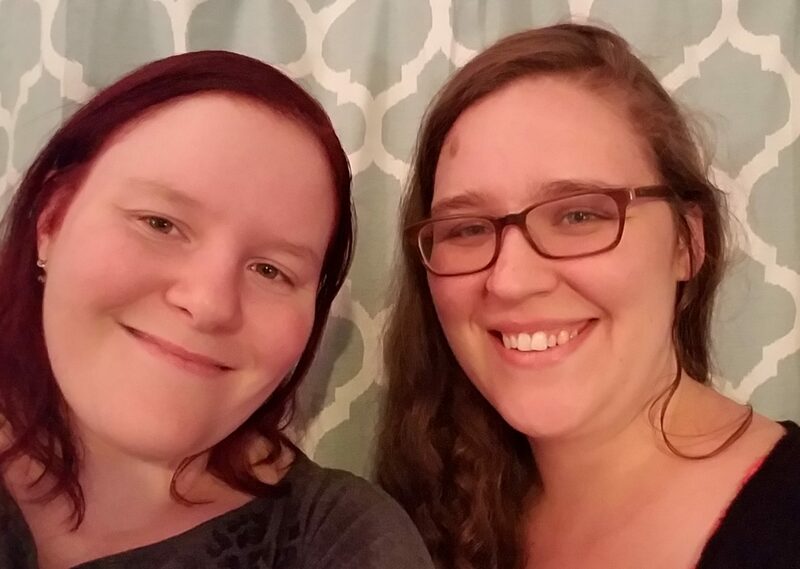 And … I missed the blog’s birthday? 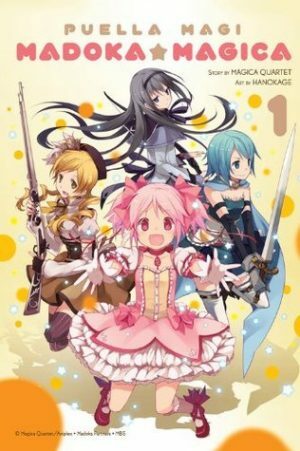 I think its safe to say that Puella Magi Madoka Magica is an international phenomenon. The story is written by Magica Quartet with the art done by Hanokage, and I cannot recommend this series enough. A new student transfers into first year high school student Madoka’s class. The girl is familiar, a person from something Madoka knows must have been a dream. It being anything else was impossible. Cats don’t offer magical powers in exchange for your deepest wish. Yet here this girl, Homura, is and she’s fighting a rather familiar looking cat. The offer is again given. If she speaks her deepest wish, she will be granted both magical powers and her wish. But it isn’t all fun and games. The world of magic is a world of high danger and seemingly little personal reward. The lost are not mourned here, and evil stalks the innocent. 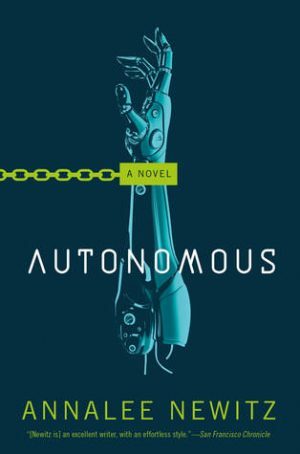 A book I had my eye on for some time was Autonomous by Annalee Newitz. This is a book about autonomy, what makes someone autonomous, and a race across the globe as an illegally distributed drug begins to rack up an unexpected death toll. Autonomous is, in a lot of ways, very dystopian. Or it wanted to be. I can’t help but feel that everything wrapped up much too nicely to be considered dystopian. (In the traditional sense of the genre and not counting the Young Adult Dystopians that relate more closely to dark fantasy/sci-fi than to adult dystopian). 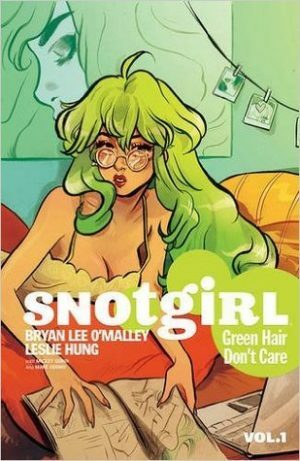 A graphic novel I’d heard about on booktube (that’s book based youtube videos for any who aren’t familiar with the term) and decided to pick up is Snotgirl by Bryan Lee O’Malley (creator of Scott Pilgrim) and Leslie Hung. While having a slight air of mystery here, this graphic novel doesn’t fall into the usual science fiction, fantasy, or horror genres I normally read.